This blog is created by using SquareSpace. It's very easy to use and customizable. 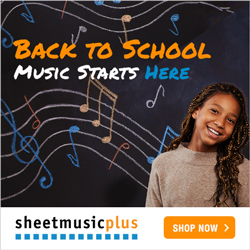 I shop most of my sheet music on Sheet Music Plus. Great selection and fast shipping. For all my online shops I use Shopify. The backend infrastructure is very powerful but still clear and easy to use.